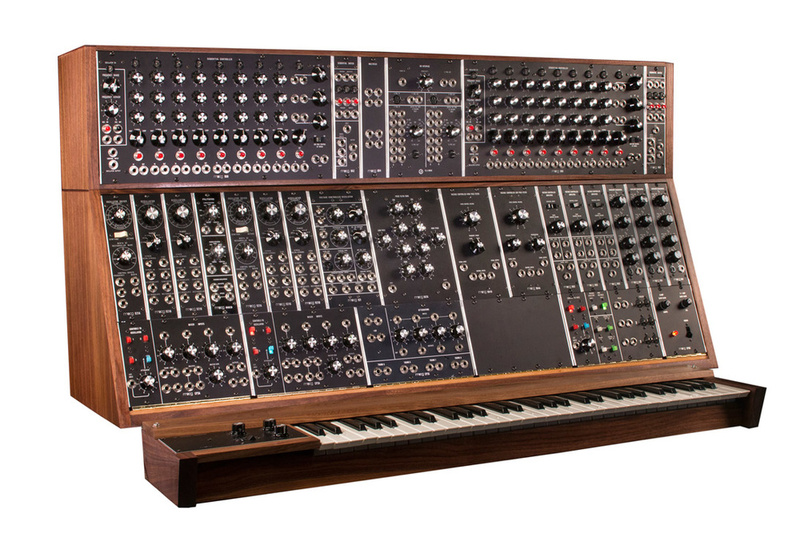 System 55 with keyboardToday, Moog Music Inc. announce their plans to commence the limited-run manufacturing of three of their most sought after 5U large format modular synthesizers: The System 55, the System 35 and the Model 15. 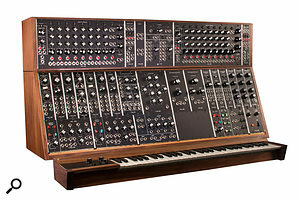 These three modular synthesizer systems were originally created and manufactured by Moog in 1973. Moog have shot a short film at their factory about the multifaceted relationship artists have with modular synthesizers, with one-take performances from Holy Ghost! and more, so watch that below. Our synth guru Gordon Reid was also able to get his hands on the systems, so keep your eyes peeled for an exclusive SOS product overview video coming later today. 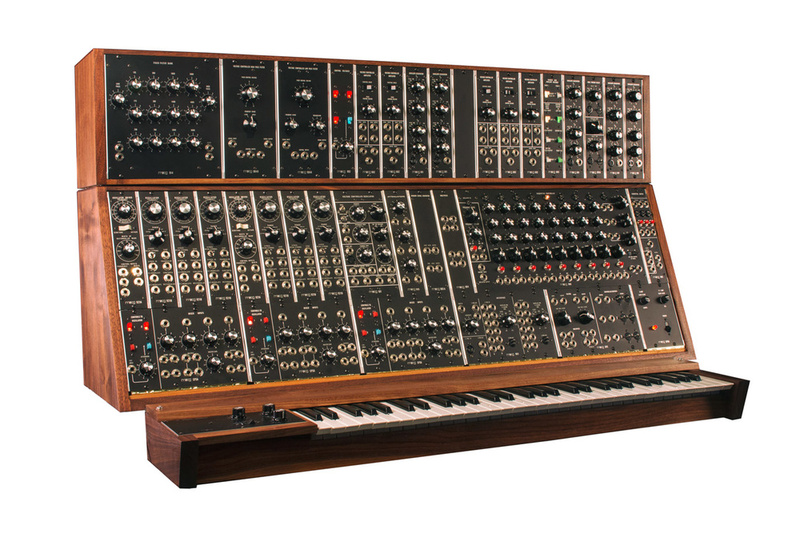 The foundations for this announcement were laid last year at Moogfest 2014, when Moog released the Emerson Moog Modular system — a faithful recreation of Keith Emerson’s legendary modular instrument, which was the culmination of three years worth of research and engineering. 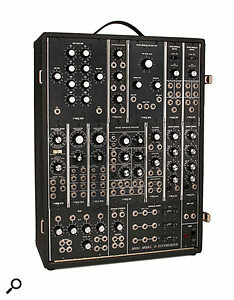 Now Moog will use the techniques learned recreating the EMMS manufacturing process to once again build these modular systems. Crucially, in deference to the unique character and appeal of the original instruments, these systems will be made entirely to their original product specifications and manufacturing techniques and processes. Working from the 1970s schematics, each instrument will be meticulously handcrafted, as a true recreation of the original. The modules are built from the original circuit board films — just as they were in 1973 — by hand-stuffing and hand-soldering components to circuit boards, and using traditional wiring methods. The front panels are photo-etched aluminum, a classic process rarely still used in today’s synthesizer manufacturing, to maintain the classic and durable look of vintage Moog modules. System 35 with keyboardUpon their first release in 1973, the System 55, the System 35 and the Model 15 represented a high watermark for modular synthesis, and their inimitable tones can be heard shaping countless classic albums. They were fundamental in the development of contemporary soul, RnB, and disco from giving Stevie Wonder’s classic run of 70s LPs their innovative edge, to providing Giorgio Moroder with the pulsating machine melodies that ushered in electronic dance. At the same time, these were the instruments that inspired Brian Eno to push further out into seas of layered tranquillity on his pioneering ambient albums, or provoked bands like Yes and Tangerine Dream to blast their sonic freak outs into the cosmos. The dedicated nature of the Moog modular rebuilding process is such that the units will come in extremely limited quantities. There will be 55 units of the System 55, priced at $35,000 per instrument; 35 of units of the System 35, priced at $22,000 per instrument; and 150 units of the Model 15, priced at $10,000 per instrument. Considering the second hand value and rarity of the original modulars, this really is rather reasonable! 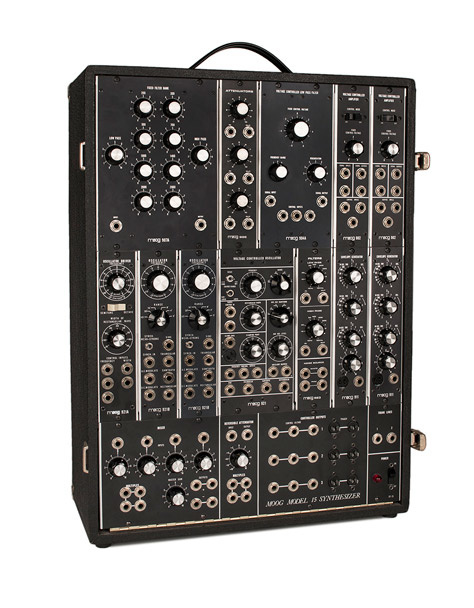 Alongside these Moog Modular Systems will be the Sequencer Complement B Expansion Cabinet, a dual 960 Sequential Controller, an accompaniment to the System 35 and System 55, that has been out of production for over 30 years– as well as an optional 5-Octave duophonic keyboard.